Firstly, you need to remove the display assembly out of the computer base. Unplug the AC adapter and remove the battery. 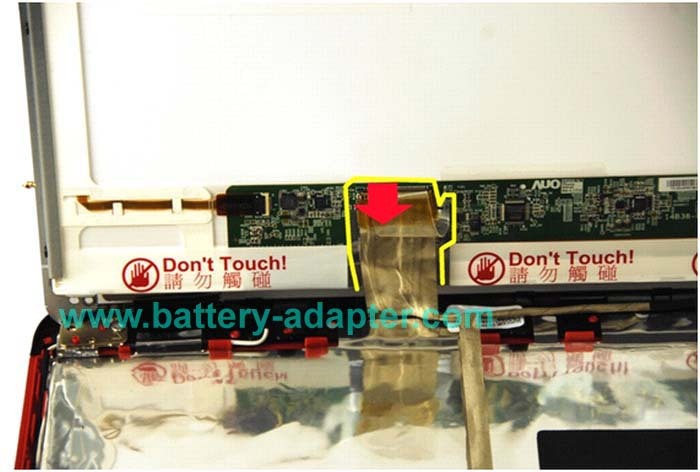 Remove the module cover and memory module(s). 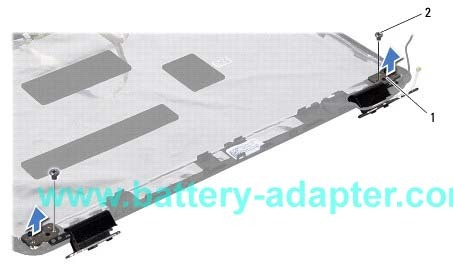 Remove the Dell Inspiron 14R N4010 keyboard. 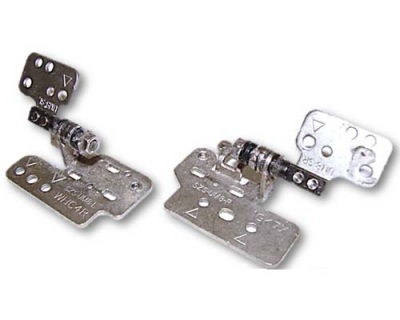 Disconnect the antenna cables from the Mini-Card(s) (see Removing the Mini-Card(s)). 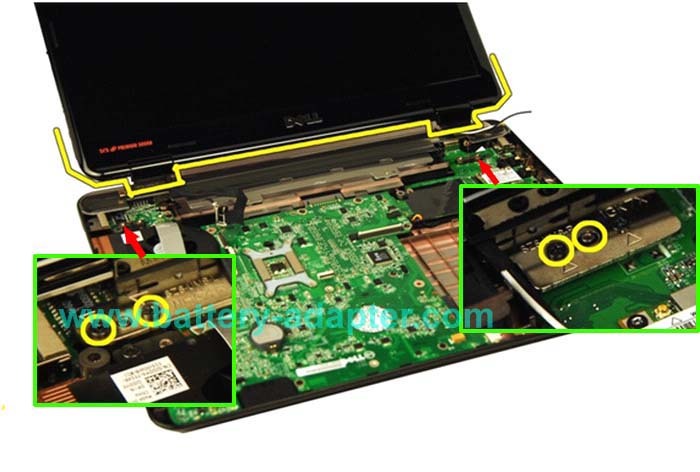 To do above work, you can refer to the posts How to Replace Dell Inspiron 14R N4010 Keyboard and How to Replace Dell Inspiron 14R N4010 CPU fan. 1. Disconnect the Dell Inspiron 14R N4010 LCD cable from the connector on the system board, and remove the LCD cable grounding screw. Make a note of the Mini-Card antenna cables and LCD cable routing and remove the cables from the routing guides. 2. Hold the display assembly in place and remove the four screws that secure the display assembly to the computer base. Lift and remove the LCD assembly out of the computer base. 3. Using your fingertips, carefully pry up the inside edge of the display bezel. Remove the display bezel. 4. Remove the six screws that secure the display panel to the display cover. Make a note of the display cable routing on the display cover. 5. 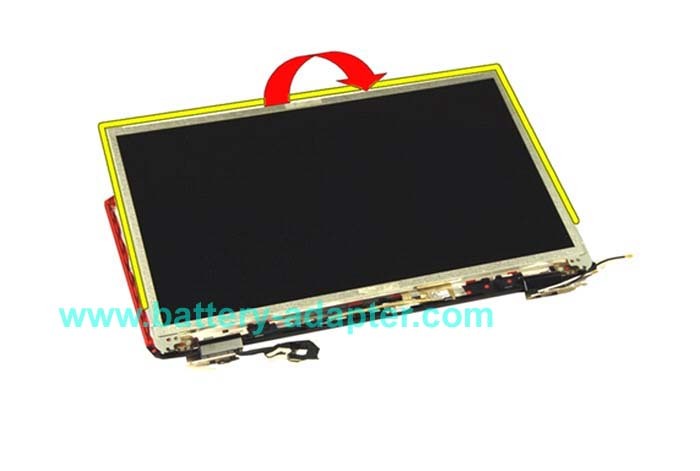 Turn the display panel over and place it on a clean surface. 6. 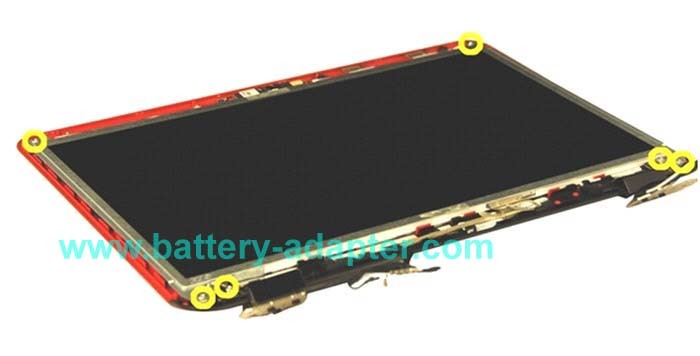 Lift the tape that secures the Dell Inspiron 14R N4010 LCD cable to the display board connector and disconnect the LCD cable. 7. Remove the six screws (three on each side) that secure the display panel brackets to the display panel. 8. 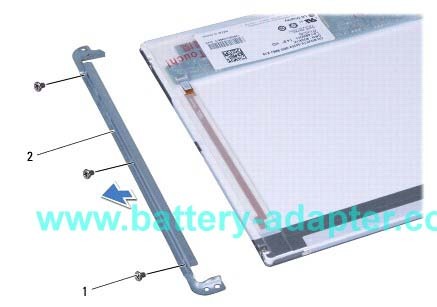 Remove the two screws (one on each side) that secure the Dell Inspiron 14R N4010 LCD hinges to the display cover and remove the LCD hinges. 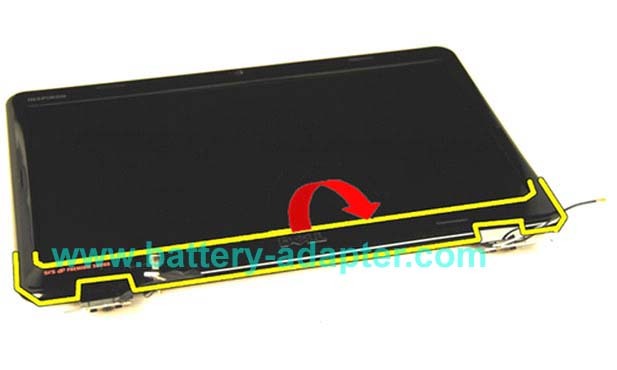 Reverse the procedure to install the new Dell Inspiron 14R N4010 LCD cable and hinges.